Dozens of vintage cars atop Montmartre bearing the sticker, "Je suis Charlie." Bicycles are a practical and fun way to navigate the city. 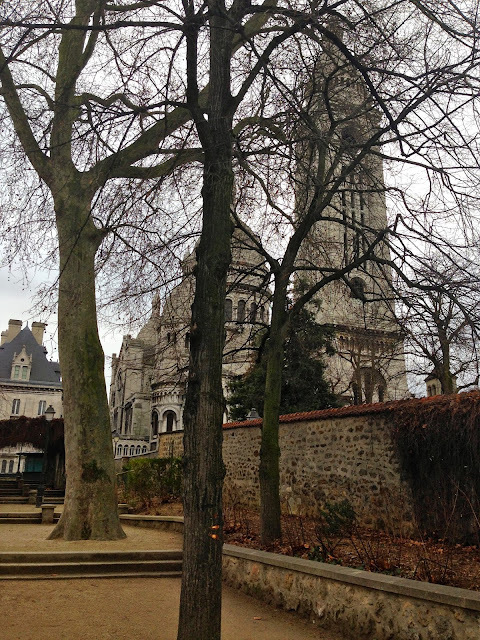 The beauty of the Basilica of Sacre Coeur in winter through trees. 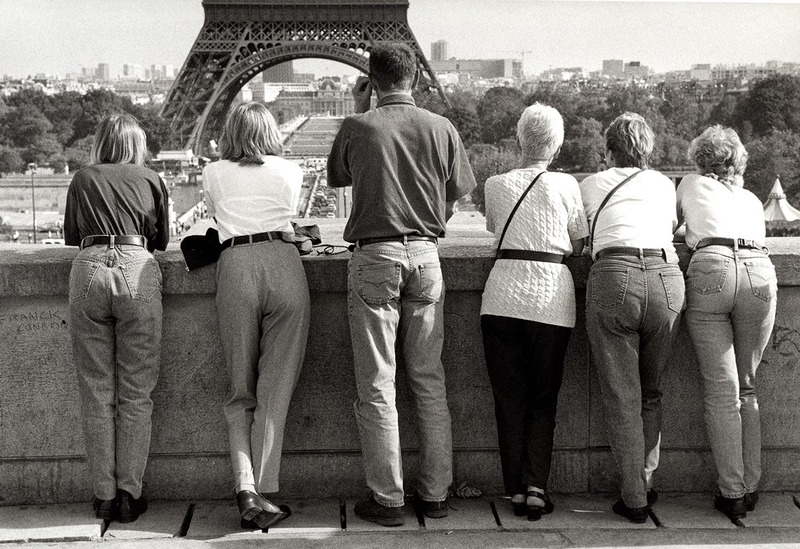 Spellbound, a group of tourists fixates on The Iron Lady.